Advice to my 20-Year-Old Self. Our 20 Year Old Selves. Top: Linda, Jim, Mary (with her mom). Bottom: Aanchal, Phu, Lisa, and Koko. No matter how busy life gets, take the time to engage in an act of service every once in awhile. Touch another person's soul with your kindness. It'll make you happier, too! Listen to your heart and pursue hobbies you're interested in. Make great friends and don't lose touch (Think quality, not quantity). Find a good mentor. Buy your house early as an investment. Explore the world. Take any opportunity to make your life better. Overcome your fears. Always believe that all your goals and dreams are possible. Find your voice and learn to listen to it as you navigate yourself through life. Be true to who you are and don't delegate another to be the expert of YOUR life, because only you can know what would make you happy and fulfilled. The advice I would give to my 20 year old self would be to remember that your credit scores are important and any negative impact on them could affect important things like securing a loan, renting an apartment, buying a car or a house. If I could give my somewhat clueless 20-year old self some advice, it would be to not get so caught up in the expectations that I had for myself and live life with an open heart. Follow the guidance of a mentor you respect. Keep your body and mind healthy. Respect and abide by the law.Treat people how you want to be treated. Respect yourself and others. Always ask if you can help other people. Do things the best you can. The reason this poem resonates so deeply is that I had a difficult relationship with my parents. I felt caught between wanting to please them and trying to be true to myself. I didn't even know who I was, or how to find out. I knew I was different -- from them in many ways, and from others -- especially after I acknowledged my identity as a gay man. I was looking for love ("in all the wrong places" as the song goes) not realizing that what I was seeking wasn't to be found in the world, but within. Now, at age 64, after years of challenging and rewarding therapy, I am much happier and healthier than I was in my twenties. I wish I could communicate with my younger self and explain that (I hate that campaign) "it gets better" by taking responsibility for the one thing you can change, your own life. If you have saved enough money from your summer jobs, plus selling blouses at Bloomingdales' during the holidays, think about putting off college for a year, and instead, take a 'Gap Year', and travel abroad. Try to find a group of like-minded people to travel with part of the time. Be mindful of your health: cut out the sugar completely (may take some time), and exercise every day -- ok, 6 days a week -- doing something you like: eg, biking, gym, dancing,skiing, etc. Get fresh air every day (a walk is refreshing). Be kind and respectful to others (including your parents), and to yourself. Laugh a lot. When I was a sophomore in college, my aunt and uncle were going for a one week’s vacation in Jamaica and invited me to go with them. I was very tempted but it would mean missing school: classes scheduled, papers due, tests given. As you can see, there is wide variety in the types of advice friends have shared. In reality, our 20-year-old selves may not listen to the advice of our older selves. Nevertheless, self-reflecting on our advice can be helpful in revealing how much we've grown! 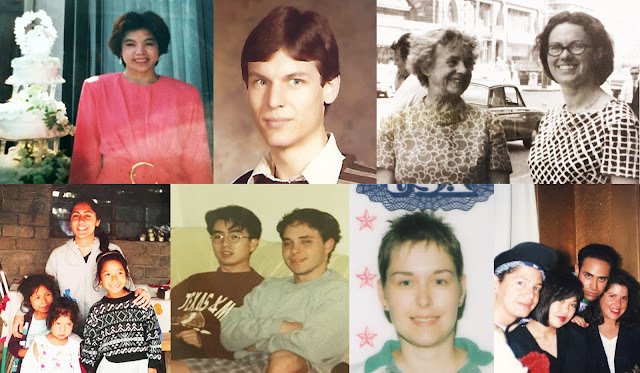 Turning the same question to you, dear readers, what advice would you give your 20-year-old selves?